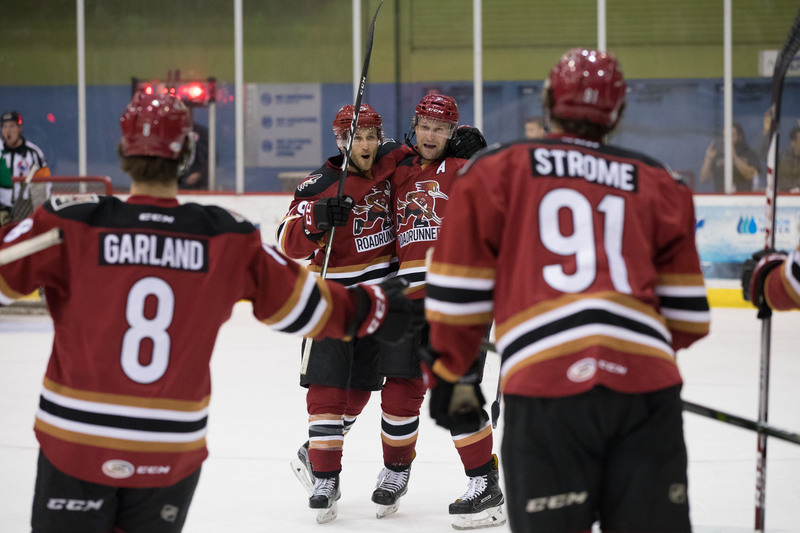 The Roadrunners returned to Tucson for a pair of games, hosting the Texas Stars Friday and Saturday night. Close contests they were, both one-goal decisions – a common theme for the team of late, and the season as a whole. Eight of the club’s last nine games have been decided by one goal – and in total, 27 of their 54 played. 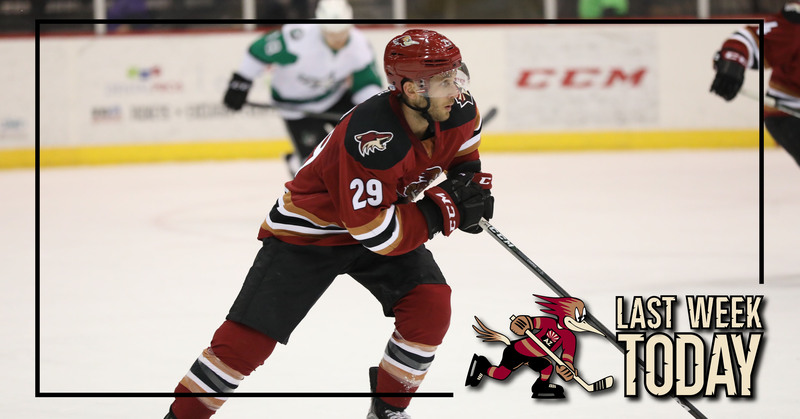 In making his home debut Friday night, Carter Camper buried his first goal in a Roadrunners uniform to open the scoring. Later on, Camper set up Mike Sislo’s overtime goal to secure a 2-1 victory. Sislo’s goal was his sixth of the game-winning variety this season, which is the most on the team. Hunter Miska, with the win, improved to a perfect 6-0 in overtime games this year. On Saturday night, the Roadrunners allowed the fewest shots in franchise history, the Texas Stars registering a lowly total of 10 – which is also the lowest total for a team during a single game across the entire AHL this season. The Roadrunners have twice set franchise-lows in shots against this season, and have lost on both occasions (San Antonio -11 SOG | 1-0 OTL --- Texas – 10 SOG | 4-3 L). With his assist on Mike Sislo’s goal Saturday night, Carter Camper became the ninth player in the AHL to reach 50 points this season. Goaltender Michael Houser made his first appearance with the team in Saturday's 4-3 loss, stopping the only shot he faced in 9:24 of relief of Hunter Miska. Brendan Perlini added a pair of assists during the week, upping his point total to 26 (16G, 10A) on the season. Perlini had a hand in both of the Coyotes’ goals scored in the club’s 2-1 victory over the Vancouver Canucks last Wednesday night at Rogers Arena. With just over five minutes left to play Saturday night, Conor Garland found Mario Kempe with a sharp cross-crease pass to set up Kempe’s 12th goal of the season, getting the Roadrunners to within a goal in the team’s eventual 4-3 loss to the Texas Stars at Tucson Arena.